The culture we live in is constantly evolving, presenting new ideas and new belief systems, many influenced by a secular humanist world view. How can we as Christian women maintain our faith and live as a vibrant witness to Christ, amidst the ethical, moral and religious differences found in our society today? Uncertainty is all around us. Politically and economically we are in uncharted waters. The future is not certain and it is hard to predict the outcomes or consequences of the changes we are experiencing. How can the church be an effective witness in such challenging times, offering stability, reassurance, faith and hope in a fragile world. Featuring contributors from both national and global perspectives leaders, politicians and NGO’s.  In 2017 Women Walking with God supported the Bible based Trauma Healing programme in the Middle East, working with displaced people who have experienced war, poverty, violence and deep emotional trauma. Since then the Trauma Healing course has been launched in Scotland’s churches to bring healing and restoration to those suffering from fear, brokenness, grief, abuse and addictions. This seminar will focus on the remarkable growth of Trauma Healing and give practical insights into how your church, your community and the people you know may be blessed by it. A seminar for anyone who has ever looked at the church and wondered whether God is a killjoy. And for all those who are concerned that most of society seems to think that he is. How, in practical ways, can we set the record straight, junk this erroneous image and enable our world to rediscover the party-giving God who invites them to an eternal banquet? How can we as Christian women in today’s fast-paced and secular society demonstrate the care and love of the ‘Good Shepherd’ to those around us? The church has a unique commission to reach out and welcome in everyone, much like the parable of the Wedding Banquet. What does this look like and how can we show real love and care for people once they are part of our family in Christ? A meal for all ages? Imagine! Messy, chaotic, full of interruptions, and very noisy! The Bible is set in an all age context, with the whole community sharing, learning and living life together: as they collect the manna in the desert to have breakfast, sit down for their Passover meal where the youngest child asks “What makes this night so different from other nights?”, at a spontaneous picnic on a hillside where Jesus reveals God’s magnanimous generosity, and in the early days of the Church where all ages share everything they have. This interactive seminar will explore what these stories have to teach us for our Church communities, where old and young can learn and grow together. Recently we discovered a concerning statistic that just 50% of children who grow up in Christian homes will keep faith into adulthood. Of course we want our children to know God for themselves, and yet the truth is that many of us parents struggle to know how to give them the best chance of finding a faith that lasts. During this seminar we will explore lots of ways to help our kids discover a relationship with God for themselves and understand the key elements that will make a difference. You will gain confidence and encouragement as you discover how the simple things in everyday can help them catch a faith that lasts.